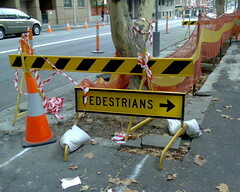 On my way to work I noticed these warning signs put out by council to protect the public from trees. A reminder to all cyclists and pedestrians of the dangers trees present. 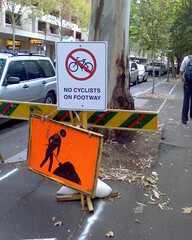 As you can see, they had to bury the last cyclist that didn’t heed the sign. This entry was posted in Humor, Photos and tagged photo, sign, trees. Bookmark the permalink.